While Washington is mired in partisan stalemate on whether to revive public financing for federal elections, many states and several large cities have ventured into public funding of regional and local campaigns. In all, 20 of the 50 states plus major cities like Los Angeles, New York, Seattle and Denver have adopted some form of public financing for election campaigns, though the size and impact of their programs varies widely. 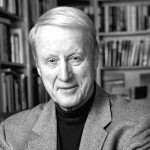 Success often depends on whether sufficient public funding is provided, how realistic are local campaign spending limits, and whether there is a political culture at work in a state or locality that encourages political candidates to participate, or whether wealthy donors, ambitious candidates and outside forces simply overrun the system. Political scandals can play an important role, triggering public demand for public funding of campaigns, as happened in Connecticut in 2005 after three-term Republican Governor John Rowland was forced from office and convicted of taking kickbacks from state contradictors. More recently, reformers have packaged proposals for public funding with the push for anti-corruption laws and state or local ethics commissions to police politicians, as in Seattle’s adoption of democracy vouchers for Honest Elections in 2015 or the TakeItBack.org movement in South Dakota in 2016 that turned several corruption scandals in state government into a springboard for a popular referendum on public funding and a state ethics commission. 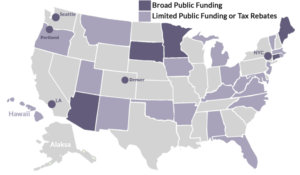 Of all the different programs nationwide, the most robust and comprehensive programs are the self-styled Clean Election systems in Arizona, Connecticut, and Maine – widely seen as models for other states. Their Clean Election systems provide public funding grants for very high proportion statewide and legislative candidates from, both major parties. Once office-seekers have raised enough seed money to prove their viability, these systems fund the entire remaining cost of their campaigns. Not only has there been bipartisan backing for such legislation in these three states, but a significant majority of candidates from both parties running for governor, the legislature and other important state offices have agreed to accept limits on their own campaign fund-raising and spending in return for receiving state subsidies. Minnesota, too, has an across-the-board program of financing campaigns for major state offices and for the 201 seats in the state legislature. But Minnesota differs from the others, in that it provides only partial funding for roughly 20-25 percent of total campaign expenditures. But like Arizona, Connecticut and Maine, Minnesota has attracted the large majority of candidates for state political offices to adopt public funding and accept spending limits. 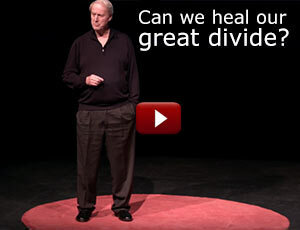 And that has helped to hold down the overall costs of campaigns and to mitigate the influence of large private donors. Another group of states, including Florida, Maryland, Massachusetts, Michigan, New Jersey, and Rhode Island, have embarked on a more modest strategy of partial public funding for a limited handful of candidates – those running for governor or other statewide offices. They offer no public funding for legislative candidates. Over the past couple of decades, public financing systems in these states have been reasonably well used and have lifted some candidates into office, such as Republican Larry Hogan, who was elected governor of Maryland in 2014. But periodically, these systems are overwhelmed when independently wealthy candidates, such as Gov. Rick Scott of Florida and Gov. Rick Snyder of Michigan, both Republicans and former corporate CEOs elected in 2010 and re-elected in 2014, have financially buried less well-heeled opponents who relied, in part, on public funding. In addition, the Florida legislature has raised that state’s campaign spending limits so high, reaching nearly $25 million in 2010, that the League of Women Voters protested it had torpedoed one major purpose of public financing – to hold down campaign spending. Other states, such as Hawaii and Vermont, have similar limited programs, but they have been less well used in recent years, either because candidates see their public subsidies as too small or consider their state spending limits as unrealistically low, so that relying on public funding looks committing like political suicide. 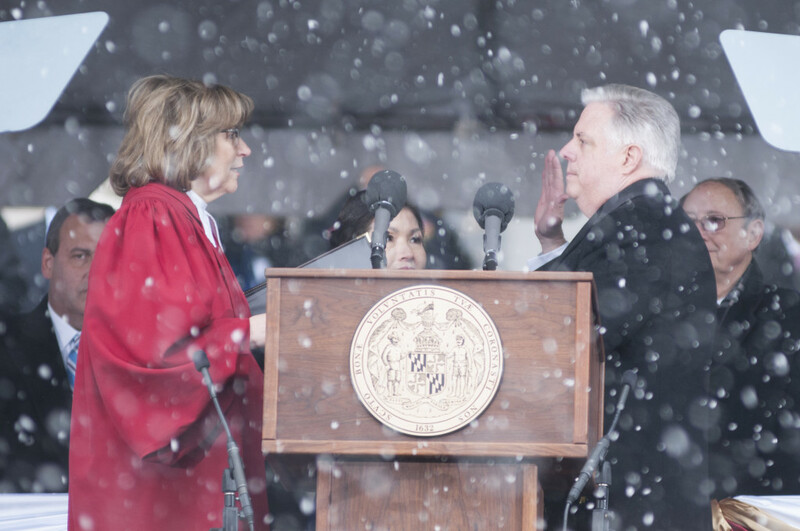 In the 2014 election in Maryland, the victorious Republican gubernatorial candidate Larry Hogan chose to use the state’s public financing system. But he was the first major party candidate to do that in 20 years. In Vermont, the last statewide candidate to qualify for state public funding was a third party candidate, the Progressive Party candidate for lieutenant governor, in 2004. Hawaii’s public financing program suffers from a similar lack of participants. It offers public funding for legislative races as well as for top state offices, but typically only a few candidates seek and receive public funding out of roughly 160 candidates running for 80 state offices. Three other states, including New Mexico, North Carolina, and West Virginia, limit their public funding programs to candidates for judicial office or state regulatory bodies. Ten states make public funding available to political parties – Alabama, Arkansas, Iowa, Kentucky, Minnesota, New York, North Carolina, Ohio, Rhode Island and Utah. Several states including Arkansas, Ohio and Oregon, provide tax credits for small donors to political candidates for major state offices. How Do States Raise the Funds? The most commonly used method to finance public funding of campaigns is the tax return check-off that lets voters decide whether to donate to public financing. In the 1970s, several states adopted plans to encourage voters to donate to political parties rather than directly to candidates by letting taxpayers designate from $1 to $10 on their tax returns for political donations. 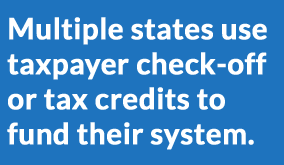 This type of check-off system and similar tax rebate systems are still being used in Alabama, Arizona, Iowa, Kentucky, Minnesota, New Mexico, North Carolina, Ohio, Rhode Island and Utah. Arkansas grants residents a $50 tax credit for political donations. But because of the soaring costs of political campaigns, the impact of small taxpayer donations is literally dwarfed by the oceans of dark money from anonymous donors now flowing through independent groups into election campaigns. With a dwindling percentage of taxpayers now using the tax check-off option, public funding advocates fear that existing public funding will wane for lack of sufficient funds – unless the explosion of Mega-Money donors triggers a backlash and a new grass roots push to revive public funding of campaigns. In 1998, Arizona enacted one of the most ambitious public funding programs in the nation, providing full public funding for candidates for all statewide offices as well as the state legislature. The Arizona program took effect with the election of 2000. To qualify for public funds, candidates must collect a defined number of $5 dollar donations (a total of $4,000 for gubernatorial candidates, $220 for legislative candidates). Once those thresholds are met, candidates receive an initial grant to finance their campaigns. From then on, they must stop raising funds on their own. In 2012, more than $3.2 million was distributed to participating candidates. In 2002, Janet Napolitano, later Secretary of Homeland Security, became the nation’s first governor to be elected under a publicly financed Clean Elections system. A decade later, in 2012, five of Arizona’s top statewide elected officials ran campaigns based on the state’s Clean Elections system, including then-Governor Jan Brewer, Secretary of State Ken Bennett, two Arizona state Corporation Commissioners, and the Corporation Commission Superintendent. Because of political objections against using taxpayer funds for public financing of elections, Arizona’s Clean Election system is largely financed by special surcharges on legal fines or penalties, such as parking tickets, speeding tickets and other civil law violations. Participation in the Arizona Clean Elections was high in the 2008 and 2010 elections, but declined since 2011 after a Supreme Court decision that struck down a provision of the public funding program. The Court left standing public funding in principle, but banned one provisionthat offered an increase in matching funds to publicly funded candidates to offset large infusions of private donations to candidates operating outside the public funding system. In a 5-4 decision, the U.S. Supreme Court ruled that this second infusion of public funds unconstitutionally infringed the rights of large independent donors. After that ruling, participation in Arizona’s Clean Elections system fell significantly in the 2012 and 2014 campaigns. Some candidates were fearful that public funding would not be sufficient to offset heavy private funding of their competitors. Even so, about 30% of the successful legislative candidates in 2014 used the public funding system, as did the state superintendent of public instruction and two of the five state corporation commissioners. But the system broke down in the governor’s race. The Republican candidate, former corporate CEO Doug Ducey, shunned public funding and spent $6 million, half of it his personal funds, in defeating Democrat Fred Duval, whose campaign spent about half as much as Ducey’s. In April 2016, Arizonans for Clean and Accountable Elections moved to inject new life into the state’s public funding system by proposing a popular referendum on a major reform measure that would provide a 6-to-1 match of small campaign donations up to $160 for any legislative candidate. “It revitalizes Clean Elections by creating a small-dollar match,” said attorney Jim Barton. “It allows ordinary folks to contribute to elections in a way that you’ll (the candidate) be able to run competitive races.” To get on the ballot, the initiative campaign must collect 150,642 valid signatures by July 7, 2016. The new plan, estimated to cost $5 million, would cover only legislative races, not races for statewide offices, It would also force much broader disclosure of independent funding than previously. Nov 6, 2018- On a ballot measure engineered by the state’s Republican political leaders to curb the independence of Arizona’s Clean Elections Commission, Arizonans gave a 56.2% majority yes vote to a proposal that would subordinate the Citizens Clean Elections Commission to the Governor’s Regulatory Review Council. It was a setback for Arizona’s public funding system and the commission, which had previously been empowered to adopt its own rules and will now have to get approval from the governor’s review council. The vote was a clear political victory for foes of various citizen-initiated political reforms in Arizona, including Republican Gov. Doug Ducey, who was re-elected to a second term, and the Republican legislative leadership. republican political leaders have tenaciously fought reforms to expose campaign dark money, provide public funding of campaigns, and to turn the mapping of the state’s election districts over to an independent bipartisan commission. To encourage small donors to political campaigns, Arkansas grants its residents a state tax credit of up to $50 per person ($100 on a joint tax return) for contributions to political candidates, parties, or political action committees. Arkansas has no pool of public funds available to candidates. Both houses of the California state legislature passed a Clean Elections bill, the California Fair Elections Act, in 2008 and it was signed by Governor Arnold Schwarzenegger. For the law to take effect, it had to be approved by the voters in a ballot initiative, but on June 8, 2010, a majority of California voters supported the measure by 57% to 43%, but that fell short of the required super-majority. In 2006, the Los Angeles City council enacted a system of public funding for municipal elections by establishing a 1-to-1 match on contributions of $5. But the program, which was financed from the general city budget, proved inadequate. So in 2013, the City Council increased the match to 4-to-1, starting in 2015. In a move to sideline wealthy campaign donors and PACs and to push political candidates to focus on small donors, Denver voted in 2018 to adopt an ambitious campaign finance reform that simultaneously bars direct corporate contributions to candidates and provides a sizable 9-1 match of public funds for private donations of up to $50. The reform plan, which won a solid 69.2% majority in the November 6, 2018 election, also requires disclosure of outside spending in Denver city campaigns, bringing the city’s disclosure regulations in line with Colorado political regulations on disclosure. To qualify for public funding, candidates must raise a quota of small donations to prove their political viability and must also agree to spending limits and to refuse taking any campaign contributions from PACs, or political action committees. The Denver plan sets maximum limits for individual donations at $1,000 for the mayor’s race and $400 for city council candidates. Connecticut has the most broadly used public funding program for state elections in the country. The state legislature enacted the Citizens Election Program in 2005, providing for full funding of all statewide offices and the legislature for candidates who accept public funding. The program was signed into law by Governor Jodi Rell, took effect with the 2008 state elections. Candidates qualify for state grants by collecting individual contributions from $5 to $100, and qualify by reaching a threshold amount that varies with the office – $250,000 for gubernatorial candidates, $5,000 for state representative. The qualifying thresholds are used to insure sufficient public support to justify public financing for candidates and to deter “fringe” office seekers from obtaining public funds. November 2010 saw Connecticut’s second general election under its Citizens’ Election Program. All five statewide offices – Governor, Lieutenant Governor, Secretary of State, Attorney General and Comptroller – are now held by candidates who used the publicly financed Clean Elections system. Also, about 70 percent of those seeking office in Connecticut’s General Assembly and 77% of those finally elected took part in Connecticut’s publicly funded campaigns. In the state’s 2012 legislative elections, participating candidates made up 65 percent of the total field and overall, 77 % of those ultimately elected used Citizens’ Election Program. Like Arizona, Connecticut’s Clean Elections program avoids using taxpayer funding by deriving its money from general state revenues generated by abandoned property and unclaimed financial accounts. Once again in 2014, the public funding system was widely used. Both incumbent Governor Dan Malloy and his Republican challenger Tom Foley, a businessman and former Ambassador to Ireland, chose public financing of their campaigns over raising their own funds. Each received $6 million from state funds. In 2016 elections, more than 83% of the winning candidates for the state legislature also participated in the public funding program. Connecticut Sec. State Denise Merrill and Gov. Dannel Malloy, both democrats, are trying to save the state’s publicly funded campaigns vs.Republican opposition.. But in a political ambush in September 2017, the Republican minority in Connecticut legislature voted to kill the state’s model program of public funding for campaigns, as part of $40.7 billion GOP budget package that won a surprise victory with support of a few Democrats. “I’m not sure the Republicans knew what was in the Republican budget,” asserted Secretary of the State Denise Merrill, a former House Appropriations co-chair. Gov. 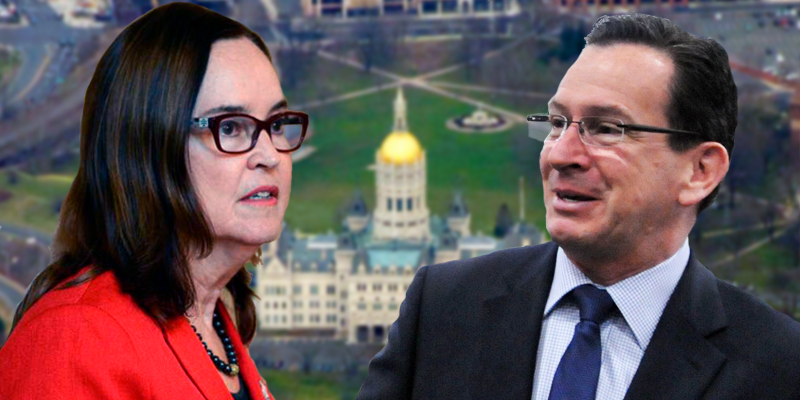 Dannel P. Malloy has promised to veto the budget, but it was unclear how the campaign funding program would far in budget negotiations between the governor and Republican leaders bent on cutting state costs. Maximum cost of the citizens election program is $23 million in election cycles involving a gubernatorial race; about $11 million in off-year elections. Over the outspoken opposition of Mayor Muriel Bowser, all 13 members of the Washington, D.C. City Council voted on February 6, 2018 in favor of public funding for political campaigns in the District of Columbia. Financial experts have estimated that the program would cost from $3 million to $8 million, depending on how many offices are up for election and how many candidates take part in the voluntary program. Bowser contended the money could be better spent on more pressing city needs and threatened to block the bill. But in a surprising turn-around five weeks later, Mayor Bowser said she was persuaded to change her position by the many comments she had heard from DC residents who wanted public funding. On March 13, Bowser signed DC’s Fair Elections Act into law, creating public funding for local campaigns starting with the 2020 election cycle. To qualify for public funding, candidates for mayor, city council, attorney general, or the board of education must first raise funds from small-dollar contributors to demonstrate that they are viable contenders. Qualifying thresholds range from a total of $5,000 raised from 150 donors for ward-based council candidates, to a total of $40,000 from 1,000 donors for mayoral candidates. Candidates who meet those standards would be eligible for base grants to kickstart their campaigns — $160,000 for mayoral contenders, $40,000 for council candidates, as well as for public matching funds on a 5-to-1 ratio for small campaign donations. Public funding would be capped for each office based on a percentage of past spending by candidates for that office. Initially, the cap for mayoral candidates would be $3 million and $`80,000 for a ward-based council seat. With a 64% majority vote, the Florida electorate approved an amendment to the state constitution in 1994 to provide partial public funding for candidates for Governor and other major statewide offices but not for the legislature. Florida’s system gives a dollar-for-dollar match for contributions up to $250 raised by candidates, provided the candidates accept campaign spending limits. In 2010, Republican gubernatorial nominee Rick Scott brushed aside public financing and spent or loaned to campaign $75 million of the fortune he had made as CEO of the Columbia/HCA hospital chain. Scott won by a narrow 1.2% margin over Democratic nominee Alex Sink, who also bypassed public financing. In his 2014 run for re-election, Scott again declined public funding and his campaign spent close to $100 million while Democrat Charlie Crist accepted public matching funds and agreed to abide by the state’s $25 million spending cap. Florida’s public funding system has come under fire but in 2010 it withstood a popular referendum seeking to eliminate it. One major reason that Florida’s public funding program does not have a deterrent effect on soaring campaign spending, experts say, is that state law does not limit spending by political parties and independent groups. In the 2014 elections, Tallahassee voters passed by a 67% majority a political anti-corruption bill amending the city charter to set up an ethics commission to guard against conflict of interests, to limit campaign contributions to city candidates to $250 and to provide a $25 tax rebate to encourage small donors to political campaigns. In late April 2016, Accountable Miami-Dade, an ethnically and politically diverse coalition of civic groups, business, labor and local political figures, launched a petition drive for a citizens initiative that would both lower limits on individual donations to candidates for county offices and offer a 6-1 public funding match for donations of up to $100 to qualified candidates who agree to the lower limits. In addition to dropping the maximum permissible campaign donation in local elections from $1,000 to $250 per election, the initiative would allow candidates for county commissioner to qualify for up to $1.1 million in public matching funds, and candidates for Mayor of Miami, for up to $2.2 million. The matching money would all be drawn from general county funds.To curb what reform activists call the long-time corruption of Miami politics from campaign funding by vendors, developers and lobbyists, the new measure prohibits large county contractors from making donations to candidates and closes loopholes that have allowed lobbyists to make gifts to candidates and office-holders. With the November election fast approaching and the county commission refusing to certify the ballot initiative, proponents filed suit and won a favorable decision from Circuit Court Judge William Thomas. On Sept. 9, two months before Election Day, the judge ruled that commission exceeded its authority and ordered the initiative placed on the ballot. But the county commission immediately appealed, putting a stay on Judge Thomas’s order, and on Sept. 20, Florida’s Third District of Appeals overturned the lower court ruling, blocking the initiative from appearing on the ballot in 2016, but leaving the door open for a future challenge by reformers against the county commission. In the run-up to the Chicago mayoralty election, incumbent Mayor Rahm Emanuel and his runoff rival, Cook County Commissioner Jesus “Chuy” Garcia, endorsed the proposal. After it passed, David Melton, executive director of the Illinois Campaign for Political Reform, called for a renewed push for legislation to reform the state’s campaign financing system. The Maine Clean Elections program, an across-the-board system of public financing, was enacted by voter referendum in 1998 and took effect with the 2000 election cycle. It has reshaped the financing of Maine elections ever since. To qualify for public funding, candidates in Maine must collect a defined number of $5 contributions from registered voters in their own district. The qualifying thresholds vary by office – $500 for uncontested House races to $600,000 for gubernatorial candidates. Once certified, candidates are eligible for a grant to fully fund their campaigns. But to receive it they must pledge not to accept any further private contributions. Funds for public financing are generated by a general state appropriation. From the start, participation in the public funding program was strong from candidates in both parties, both for statewide offices and for both houses of the state legislature. It reached a high point in 2008, when 81% of of all legislative candidates took part.. But the Maine system was partially undercut by U. S. two Supreme Court decisions and participation fell off to 53% in 2014. When the Clean Election law was first adopted, it not only gave candidates initial grants of public funds but allowed them later to collect “matching funds” if they were outspent by a privately funded opponent. In 2011, the Supreme Court struck down the matching funds provision as abridging the free speech rights of private donors. And after the high court’s Citizens United decision in 2010, private spending on legislative races jumped fivefold from 2008 to 2012. Reform groups like Maine Citizens for Clean Elections and Mainers for Accountable Elections were determined to repair the state’s public funding system. They got a new reform law on the ballot for a popular vote. In November 2015, a 55% majority of Maine voters approved a law that authorizes a new way to give candidates a second funding grant if they keep on raising small $5 donations. To offset the rise in private campaign donations, the reform act increased public funding for the governor’s race from $1 million to $3.2 million and roughly tripled public funding for legislative candidates. Plus, it put more teeth into funding disclosure requirements and penalties for campaign law violations. Maryland provides partial public funding but only for candidates for governor and lieutenant governor. It requires candidates who accept public funds to accept a limit on their campaign spending, based on the state’s population. In the 2014 election cycle, the limit was $2,586,124. Maryland law does not limit expenditures for statewide candidates by state, local and national parties or independent organizations. Maryland’s program has attracted little use over the past two decades because the public funding it offers falls short of what major candidates can raise privately. But Larry Hogan, the Republican candidate for governor in 2014, was not well known and seeing advantage in public funding,Hogan became the first major party candidate in 20 years to opt for public financing. His Democratic opponent, incumbent Lieutenant Governor Anthony Brown, spent more than $9 million to win the state’s Democratic primary. Expecting to be outspent in the general election campaign and with registered Democrats outnumbering Republican voters 2-1, Hogan cast himself as fighting a “grass roots” citizen’s battle against an “entrenched incumbent machine” of Maryland Democrats. It worked. Relying on the backing of taxpayer dollars and accepting a tight limit on private donations to his campaign, Hogan scored a stunning upset victory. “They said it couldn’t be done, but, we did it,” Hogan declared at his victory celebration. He had become the first candidate elected governor using public funds for his campaign, under state regulations that limited direct spending by his campaign to about $2.6 million during the general election — about half of what Brown raised. In 2018, public funding for political campaigns in Maryland got a new shot in the arm to Montgomery County, a Washington, DC suburb with a larger population than six states (Alaska, Delaware, North Dakota, South Dakota, Vermont, and Wyoming) and which began public funding of local elections this year. For candidates who accept fund-raising limits, the system rewards candidates who raise funds from small donors with a 6-to-1 match of public funds for private donations up to $150. More than a dozen candidates received $3.3 million in public funds in the primary campaign, and at least $2 million more is available for the general election campaign. 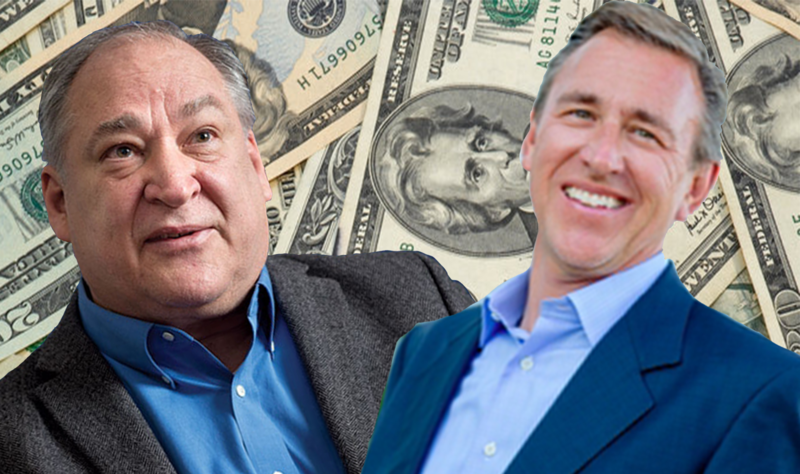 In the big race for County Executive, Mark Elrich, backed by $500,000 in public funds as well as private donations, narrowly beat David Blair, a wealthy businessman who spent $3 million of his own funds on his campaign. Elrich was one of four candidates running for County Executive who chose to use public financing, including Republican Robin Ficker. Five of the nine winners for Democratic nominations for county council used public funds. The wide usage this year encouraged the system’s backers. “I think public financing is off to a good start in terms of the use of it by many candidates and the success of many candidates who used it,” said Phil Andrews, a former county council member who co-sponsored the public funding system. The Bay State is a case study in how the interest of average voters in publicly funded campaigns can be thwarted by elected politicians who oppose public financing that increases the vulnerability of incumbents to challengers. In 1975, Massachusetts instituted a program of partial public funding for candidates for the state’s six highest elective offices, requiring them to qualify by raising their own initial funds and agreeing to campaign spending limits. This program was funded by hundreds of thousands of taxpayers designating a $1 per person donation on their tax returns. In 1998, Massachusetts Voters for Clean Elections pushed to expand this program dramatically by offering full public funding for candidates for all constitutional and legislative offices. They got the issue on the ballot and won a 58% voter majority. But in the Bay State, all enacted referendums are “subject to appropriation,” meaning that voters can create programs in principle but only the legislature can appropriate funds. In this case, the state legislature led by House Speaker Tom Finneran blocked the new program by refusing to fund it. Massachusetts Voters for Clean Elections sued the legislature and won a court order providing for the sale of more than $4 million in surplus state property to fund candidate campaigns in 2002. But not to be outdone, Speaker Finneran engineered a counter-referendum in 2003, asking voters if they supported “taxpayer funded elections,” and 75% voted no. The legislature used that vote as justification to repeal the clean election program. The political donnybrook has taken its toll on public financing of campaigns in Massachusetts. The state has been thrown back on its original taxpayer-donation scheme, with funds limited and participation declining. As in Maryland, Massachusetts spending limits are so low ($1.5 million for a gubernatorial general election campaign in 2014) and the public funding offered is so modest that major candidates often bypass the system. They fear being financially outgunned. In 2010, for example, while seven candidates for statewide office received more than $1.4 million in public funds, such major candidates as Deval Patrick, the victorious gubernatorial candidate, his running mate and two other top state officials declined public funding. Since 1978, the Michigan Campaign Finance Act, passed in the wake of Watergate, has provided partial public financing for gubernatorial candidates. Its system is financed by a voluntary income tax return check-off or donation of $3 per person ($6 per couple). In primary campaigns, public financing provides a 2-for-1 match for contributions of up to $100 raised by candidates. In the general election, a flat grant of $1,125,000 is made to candidates who accept state spending limits. In 2010, all five defeated gubernatorial candidates – four Republicans and one Democrat – took public funding and agreed to a spending limit of $2 million. But the ultimate winner, Governor Rick Snyder, a wealthy venture capitalist, spent more than $6 million of his own money, and his campaign overall spent $11 million, more than a 4-1 advantage over his Democratic opponent Lansing Mayor Virg Bernero. In 2014, the public funding system was overwhelmed by a $47 million advertising blitz in the gubernatorial race, 75% of that money spent by SuperPACs claiming independence from Governor Snyder and his Democratic challenger, former Congressman Mark Schauer, even those groups were open in backing the two opposing candidates made no secret of their candidate and their message. Snyder again bypassed public funding and amassed a much larger war chest than his Democratic rival, former Congressman Mark Schauer who took public funds. A leader in campaign finance reform long before the Watergate scandal moved Congress to enact spending laws and limits in 1974, Minnesota has long had a robust program of public financing for statewide offices such as Governor and attorney general as well as for legislative candidates. By the 2012 election cycle, the state’s Campaign Finance and Public Disclosure Board reported that 87% of state legislative candidates accepted public funding that totaled $1,948,951. With public funding so much, the political culture in Minnesota has helped hold down the overall cost of Minnesota elections. In years when elections are held for Governor, Lieutenant Governor, and other statewide offices as well as the state legislature, the public financing program roughly doubles. In 2010, the state paid out $4,467,177 to campaigns. Most major statewide candidates typically seek public funding and accept spending limits. But in 2000, wealthy retail magnate Mark Dayton spent $12 million of his own money in an unsuccessful bid for the U.S. Senate and then spent another $3 million of his own money in 2010 in winning his race for governor. But in 2014, Dayton switched. Like his Republican challenge, Jeff Johnson, Dayton applied for public campaign financing and accepted the state spending limit of $3.6 million. For years, Minnesota offered residents a tax credit for small donations to candidates. But in 1987, that was repealed and converted in 1990 to a cash rebate from the state for donations up to $50 for individuals and $100 for married couples. Funding for that program was suspended in 2009 under former Republican Gov. Tim Pawlenty, but reinstated in 2013, under Governor Dayton. Minnesota pays for the public funding rebates to campaign donors through general appropriations made by the state legislature, and contributors apply to the state department of revenue for tax refunds. Since 1977, New Jersey has provided public financing for candidates for governor, to give candidates with limited financial means a way to seek the state’s highest office and to persuade candidates to accept limits on their own fund-raising and spending. The state provides a 2-1 match for qualified funds raised by the candidates. New Jersey has also tried a pilot program for limited number of legislative seats, but its full-fledged public funding has remained narrowly targeted on the governor’s race. Since the program was instituted, all but two general election candidates — Democrat Jon Corzine in 2005 and 2009, and Republican Douglas Forrester in 2005 — have accepted public money and agreed to curtail their own spending. But high spending ceilings have benefitted incumbents and well-known candidates. In 2013, Republican Gov. Chris Christie received the maximum of $8.2 million in matching public funds, while his Democratic opponent, Barbara Buono, received roughly $1.8 million. Both agreed to an overall limit of $12.2 million on campaign expenditures. In 1998, the New York City Council enacted a system of public funding for city elections, providing a 6-to-1 match for individual contributions up to $175. Most of New York City’s current 63 City Councilors have been elected with public funding. The system is financed by general city budget appropriation. In the November 6, 2018 election, New York City voters gave a strong 72.4% majority vote to a ballot proposal lowering campaign contribution limits and making the city’s public funding for election campaigns more generous. For candidates who voluntarily agree to participate in public funding, the ceilings on individual private contributions will be lowered by 60% and the public funding match will be increased to 8-1 from 6-1, and the amount to be matched will be raised from $175 to $250. Several times, public funding bills have passed the Assembly but have fallen short in the state Senate by a handful of votes, most recently in March 2014. With campaign finance reform a key issue in New York State’s 2014 elections, a renewed push to pass a public funding law in the 2015 legislative session is likely. Given New York’s size and influence among state governments, success would carry national significance. In the mid-1990s, the Ohio legislature authorized a $50 per person tax credit to residents who donate to campaigns for major state offices, such as governor, lieutenant governor and attorney general. Under the Oregon Campaign Contributions, Finance and Spending Act, adopted by a 72% majority of Oregon voters on Nov. 8, 1994, individuals may receive a $50 individual tax credit ( $100 tax per couple) for contributions to political candidates and parties. The act also set limits on contributions by individual, certain groups and political action committees to candidates and established some spending limits. Dec. 14, 2016 – Portland City Commissioners vote 3-2 to set up system of public funding for city election campaigns for candidates who voluntarily agree to accept limits on their campaign fund-raising and spending. The new public funding system will go jnto use for 2020 elections, starting in 2019. Its adoption marked a political win for Commissioner Amanda Fritz who used a previous public funding system to win election in 2008 that was later abandoned. Fritz used to restore that system. In a dramatic reversal of a popular vote in 2010 to kill public funding of city campaigns in Portland, an overwhelming 87% majority in Portland voted on Nov 6, 2018 to restore public funding for local elections. What this huge majority endorsed was an amendment to the city charter that will provide a 6-1 public funding match for small campaign donations.The citizen-led initiative, endorsed by the city council, also imposes a ban on corporate contributions in city elections, sets a $500 limit on individual campaign donations and forces disclosure of campaign donors, including the listing of major funders on TV ads. Like neighboring Massachusetts, Rhode Island offers partial campaign funding for candidates for the state’s top elective offices along with tight spending limits for their campaigns. 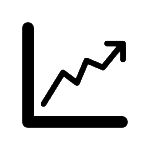 That combination tends to attract underdog candidates but is less attractive to favorites. In the 2014 gubernatorial race, for example, the victorious Democratic candidate, State Treasurer Gina Raimondo, turned down public funding and raised her own funds, breaking state spending records with 65% of her funds coming from out of state. Her Republican rival, Cranston Mayor Alan Fung, chose to accept public financing and received a subsidy of $1.1 million . In the end, Fung was outspent by Raimondo, $5.4 million to $2.2 million. 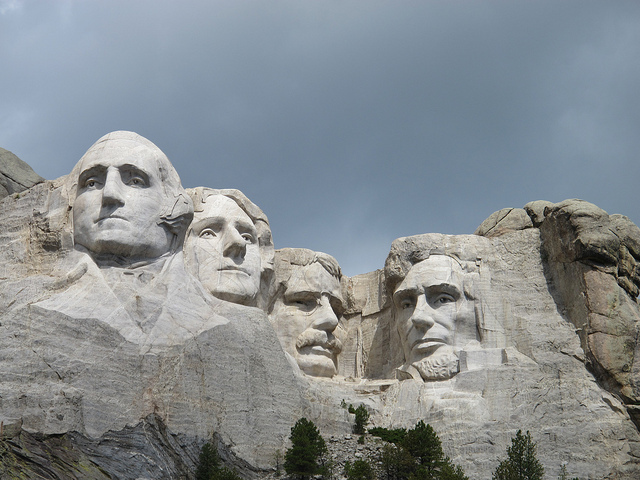 Mount Rushmore, in Keystone, South Dakota. (CC) Department of the Interior. Nov 8, 2016 – South Dakota became the first state in a decade to pass public funding for the state’s political campaigns in a surprise grass roots victory against the Republican Party establishment and a well-financed opposition led by Americans for Prosperity, flagship of the Koch political network, organized by the oil and energy billionaires Charles and David Koch of Wichita, Kansas. Two other reform measures, for a non-partisan primary system and for gerrymander reform, were defeated. But a 51.6% majority of South Dakota voters approved one of the most sweeping campaign finance reform laws in the nation. Initiated Measure 22, or IM-22, imposes tighter limits on campaign contributions, requires detailed disclosure about campaign donors, establishes a state ethics commission to combat corruption, and will provide each voter with $100 in “democracy credits” to donate to any candidate for state – provided that candidates qualify by agreeing voluntarily to strict limits on funding their own campaigns and not to seek outside funding. IM-22 would provide up to $12 million in public funds for “democracy credits” in each election cycle to be financed by general state funds of $9 per registered voter. In addition, this ambitious omnibus reform package bars unlimited campaign donations from PACs and political parties to candidates and reduces the amounts of money candidates can receive. It lowers the ceiling on PAC donations from $10,000 to $2,000. Funding disclosure requirements are demanding for any donation of $500 or more. The reform drive was sparked by TakeItBack.org founded by Rick Weiland, a businessman and Democrat who lost a race for the U.S. Senate in this heavily Republican state 2014, and Drey Samuelson, for 28 years chief of staff for retired Democratic Senator Tim Johnson. With support from the South Dakota Farmers Union, League of Women Voters, state chapter of AARP and national organizations such as Represent.Us and Open Primaries, ballot committees gathered roughly 100,000 signatures and won certification to put their reforms on the ballot in November 2016. They built a coalition of Democrats, independents and Republicans including such prominent Republicans as former Senate Majority Leader Dave Knudson, former State Treasurer David Volk, former State Senator Don Frankenfeld and Rick Knobe, former Republican Mayor of Sioux City, now a political independent. In July 2016, They faced an opposition spearheaded by the Koch brothers’ political arm, Americans for Prosperity, that organized an opposition coalition called “Defeat 22” including the South Dakota Chamber of Commerce and the South Dakota Farm Bureau. According to Ben Lee, local leader of Americans for Prosperity, the Kochs saw South Dakota as “a testing ground” in the battle over campaign finance reforms. The ballot measure passed with a 52% majority on November 8, 2016. But one month later Circuit Judge Mark Barnett stopped its implementation by issuing a preliminary injunction at the request of two dozen Republican lawmakers who filed suit.. Theys contended that IM-22’s provisions violated either the state or federal constitution or both. But attorneys representing the state and IM-22’s sponsors opposed the court injunction, asserting that IM-22 was constitutional. The people and the power brokers girded for a new clash in the November 2018 elections. Reform groups gathered enough signatures to put a new anti-corruption measure on the ballot. Their proposal, officially known as Constitutional Amendment W, would ban lobbyists gifts, set up a state Ethics Commission to hold political rule breakers accountable and give voters the final word on passing ballot measures by barring legislative repeal without a subsequent popular vote. But the new proposal dropped the original provision for democracy vouchers. The Republican Powers-That-Be, led by Speaker Mark Michelson of the legislature, put on the ballot a barrage of new laws designed to strangle and kill the tradition of citizen-led ballot measures pioneered by South Dakota in 1898. One Michelson measure called for raising the required majority for passing a constitution amendment to 55% from 50%-plus-1. Another barred any out-of-state funding for ballot initiatives though out-of-state money for state political candidates was permitted. A third limited any constitutional amendment to a single subject, outlawing multiple reform provisions in one measure. Come November, neither side got satisfaction. Speaker Michelson was unable to paralyze citizen ballot initiatives, but he did make it harder to get citizen reforms passed. Voters accepted his single subject amendment and the ban on out-of-state money for ballot initiatives, though a loophole probably allows the most significant players to continue. But the public vetoed raising the barrier to passage to a 55% majority. In November, 2015, Seattle voters adopted an ”Honest Elections” initiative that provides for taxpayer-funded “democracy vouchers” for average voters, voluntary spending limits by candidates, and a bar against candidates’ receiving donations from any person or company with at least $250,000 in city contracts or $5,000 in lobbying expenses. Under the plan, which passed by a 63% majority, the Seattle Ethics and Elections Commission (SEEC) mails four $25 vouchers in each election cycle to all voters, who can then donate the vouchers to their choice of candidates for city offices. The program is financed by a $30 million increase in property taxes over ten years. Candidate participation is voluntary, but those who take part must agree to contribution and spending limits and to participate in three debates. Both candidate and voter participation was strong in the program’s first trial run in August, 2017. In the three primary election races where democracy vouchers were used, five of the six candidates who won slots in the general election used the voucher system rather than private funding. In the hottest race, for the district 8 council seat, two publicly funded candidates beat out the candidate backed by big private donors and the Seattle Chamber of Commerce. Overall, close to 11,000 voters used the voucher system. In the spring of 2016, a broad left-to-right, cross-partisan political coalition joins forces to form Integrity Washington and push for a popular referendum on the Washington Government Accountability Act that would apply some of the concepts in the Seattle Honest Elections law statewide. Their initiative (I-1464 ) proposed providing average voters with $100 in democracy vouchers; imposing $100 campaign donation limits on lobbyists and state contractors; and combatting dark money donations by requiring disclosure of the root sources of five largest campaign donations to independent groups and PACs. National organizations such as Every Voice, the League of Women Voters and Represent.Us are backed the drive along with conservative groups such as Take Back Our Republic and Seattle Tea Party Patriots, and Washington State organizations such as Fix Democracy First, the Progress Alliance of Washington and Wash PIRG. The petition drive, which began March 21, 2016, met the deadline to qualify this initiative for the November 2016 ballot by turning in 328,125 signatures on July 8. Washington State law requires a minimum of 246,000 valid signatures for an initiative to qualify. 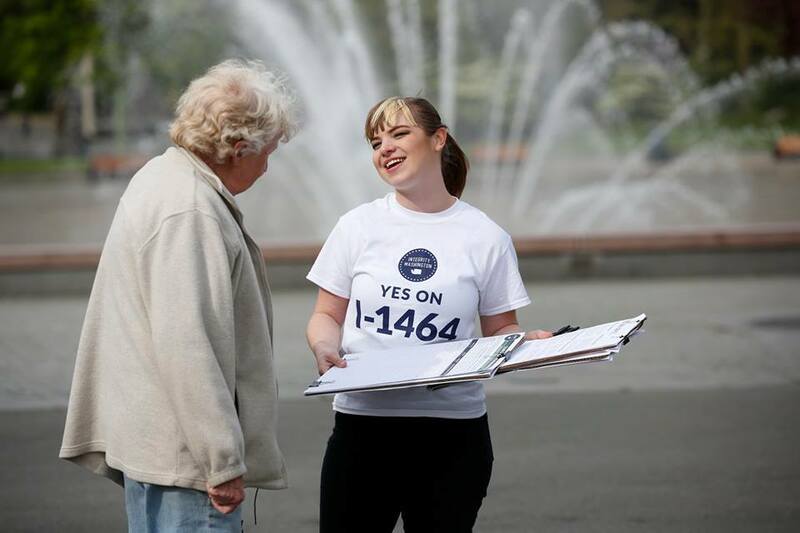 On August 3, the petitions were validated by the Secretary of State’s office, qualifying I-1464 for the November ballot.